SINGAPORE - Horticulturalist and former National Institute of Education (NIE) director Lee Sing Kong died of a suspected heart attack late Friday night (May 19). He was 65. As a horticulturalist, Professor Lee played a leading role in the greening of Singapore, said the Nanyang Technological University (NTU), in a statement on Saturday (May 20). His contributions to the preservation and development of the country's national parks and greenery helped to realise the late founding Prime Minister Lee Kuan Yew's vision of a Garden City, it added. Prof Lee was also a widely respected academic who advanced Singapore's teaching education system when he led the NIE from 2006 to 2014. During his time as director, NIE was placed on the world map as Singapore scored successes in the global Programme for International Student Assessment (PISA) rankings in mathematics, science and reading, among other global league tables. Said chairman of NTU Board of Trustees Koh Boon Hwee: "Sing Kong will be remembered as an exceptional leader of the teaching fraternity and friend by generations of teachers and students." "He was passionate about education and learning, and lived life to the fullest. We have lost a very special member of the NTU community. Sing Kong will never be forgotten and will be deeply missed," he said. After stepping down from NIE, he was appointed NTU's vice president for education strategies. He became vice president of alumni and advancement in August 2015. Over the years, as an educator, he developed NTU's innovations in curricula, teaching methods and assessment. 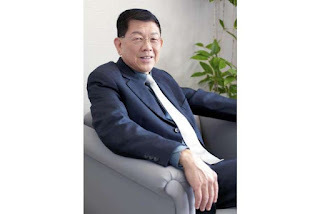 He also established NTU's Centre for Research and Development in Learning (Cradle), which moved NTU into research for higher education learning. For his many contributions to Singapore's education system, Prof Lee received the prestigious Public Administration Medal (Gold) in 2011. He had received the Public Administration Medal (Silver) in 2004. He also made his mark internationally as the first Singaporean to receive the Medal for Distinguished Service in 2013. It is the highest honour bestowed by the Teachers College in Columbia University. NTU president Bertil Andersson, who expressed his condolences on behalf of the university, said: "Prof Lee was an inspiring figure who left an indelible mark on Singapore's teaching and higher education." He added: "Throughout his remarkable career, he was a dynamic leader who firmly believed in the importance of higher education." "Thousands of teachers and students have benefited from his contributions to the teaching profession ... We will miss him deeply." Prof Lee's wake will be held at his Tung Po Avenue home from Sunday to Monday. He will be cremated on Tuesday morning.